Get ’em while they're hot! A batch of new bonus posters have debuted, and since they're all worth seeing anyway, what better way to feature them than wrap up all three together? 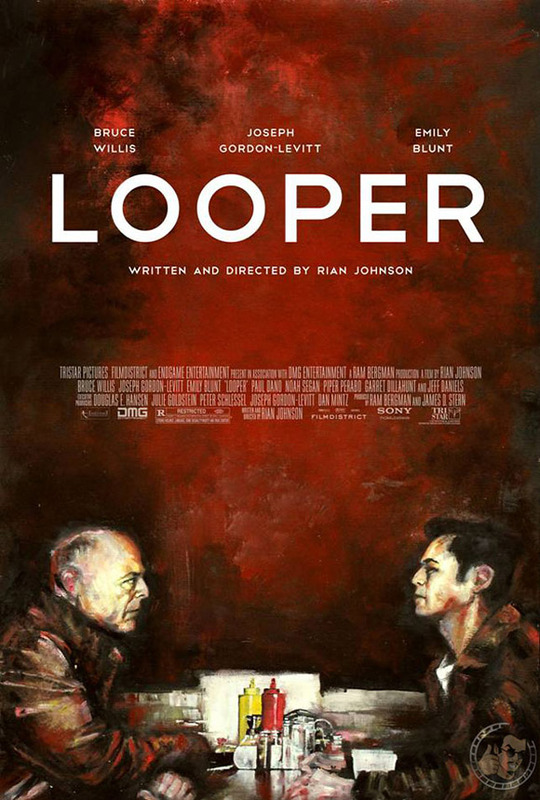 I recently stumbled across this very odd "animated", or almost painted, poster for Rian Johnson's sci-fi Looper over on JoBlo. 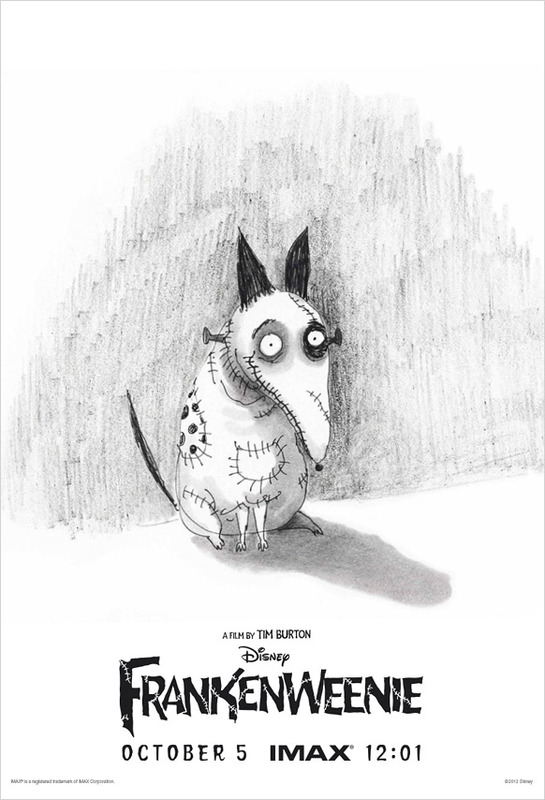 From there I came across a few others, including the IMAX midnight poster for Tim Burton's Frankenweenie, which is just a simple white sketch of the dog. Still very cute. 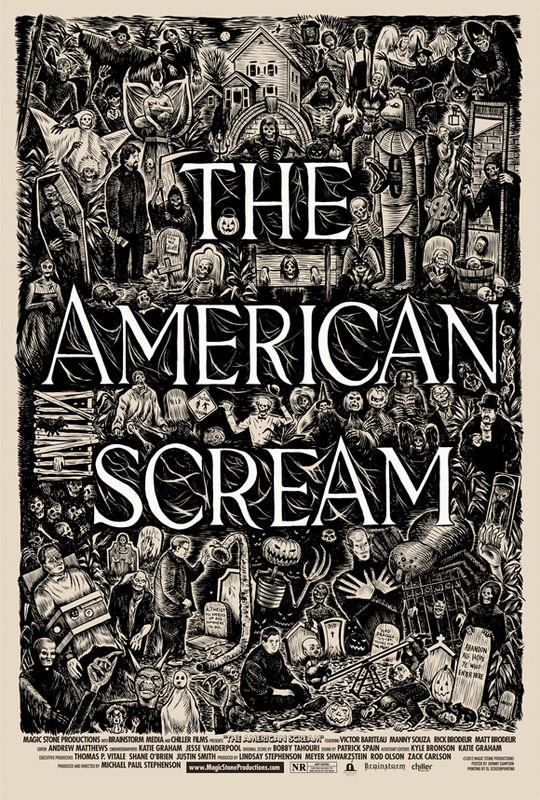 Finally, AICN has debuted a poster for Fantastic Fest doc The American Scream, which I thought was kooky and unique enough to include, as a bonus itself. Up first, here's the very gothic but fascinating poster for The American Scream, a doc about our love of haunted houses. For more info on the project, hit AICN or visit Fantastic Fest, where it's soon premiering. Frankenweenie was directed by mastermind Tim Burton, who's brought us Beetlejuice, Batman, Edward Scissorhands, Ed Wood, Big Fish, Corpse Bride, Sweeney Todd and The Nightmare Before Christmas previously. The screenplay was written by John August (Go, Big Fish, Charlie and the Chocolate Factory, Corpse Bride, The Nines) from a story by Tim Burton & Leonard Ripps. Disney is bringing Frankenweenie to theaters everywhere in 3D starting October 5th coming up soon. Read Jeremy's Fantastic Fest review. I don't think any of these are knock-out posters, but I like all three of them, and wanted to make sure they all were mentioned anyway. I'm really not sure what to make of that painted Looper poster, and while the Frankenweenie artwork isn't much, it's too adorable and too Tim Burton to pass up. That's all there is for now, but as always we're on the hunt for the latest, greatest (and sometimes ugliest) movie posters around. AMERICAN SCREAM, FRANKENWEENIE look amazing. LOOPER just ok.